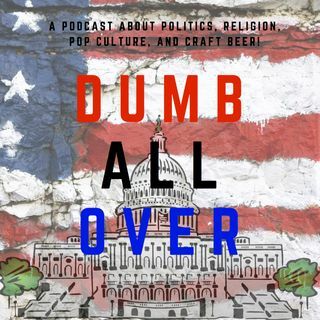 AOC: How To Get On a Congressional Committee [Episode 103] | Dumb All Over! This week we discuss the latest involving the disgusting photo in Virginia Governor Ralph Northam yearbook as well as his response. We talk about Bernie Sanders new bill which would change estate tax in this country. We also listen to Mayor De Blasio of NYC as he talks about Progressive ideology on Real Time. Finally we talk about Alexandria Ocasio-Cortez! We then answer your amazing questions on this week’s Twitter Time! To follow our everyday shenanigans follow us on the social medias. As always please feel free to leave a comment or follow us wherever you can! Your support means everything to us!